You are here: Home > What’s the Difference Between Seat Belt Webbing and Polyester Webbing? A: Seat belt webbing is actually a polyester webbing but it’s slightly thinner and typically has a lower tensile strength than regular polyester webbing that’s usually used for ratchet straps, cam straps and winch straps. 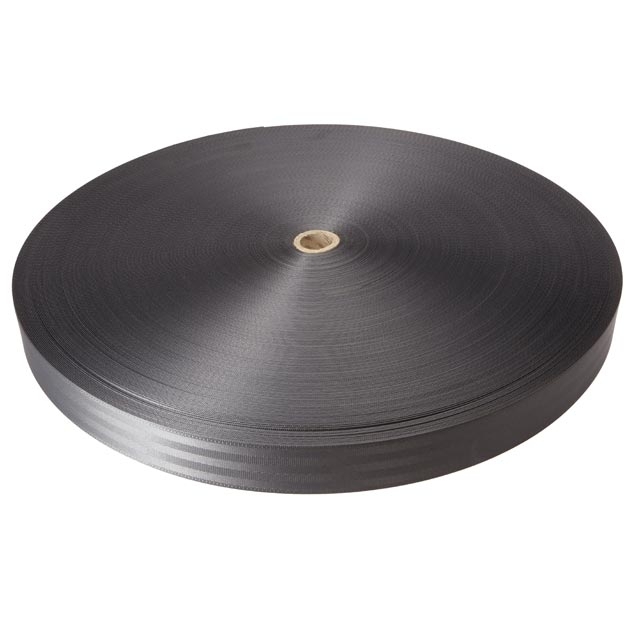 It obviously gets its name from its main use as webbing used for seat belts and other automotive restraints, but it can also be used for a variety of other applications: tents, tarps, bag straps, camping gear, boating accessories, garden and lawn equipment uses. Both regular polyester webbing and seatbelt webbing have excellent qualities for rugged use: it will not shrink, rot, mildew, or mold, because it absorbs very little water. It also stands up well to UV rays and many acids. You can see all of our cargo webbing here: Webbing.